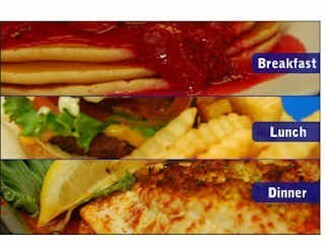 One of the favorites of locals, Sting-Rays has been called Chez Exxon in a Southern Living Magazine article. Located on U.S. Route 13, approximately five miles north of the Chesapeake Bay Bridge Tunnel, Cape Center is one of the most popular rest areas on the Eastern Shore. 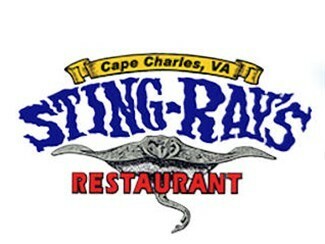 It consists of the famous Sting-Ray’s Seafood Restaurant, the Eastern Shore Pottery, a Convenience store/Exxon Station, and an RV and boat storage facility. “Built with character” this mission-style cottage is actually under 15 years old yet looks like its been here for a century. 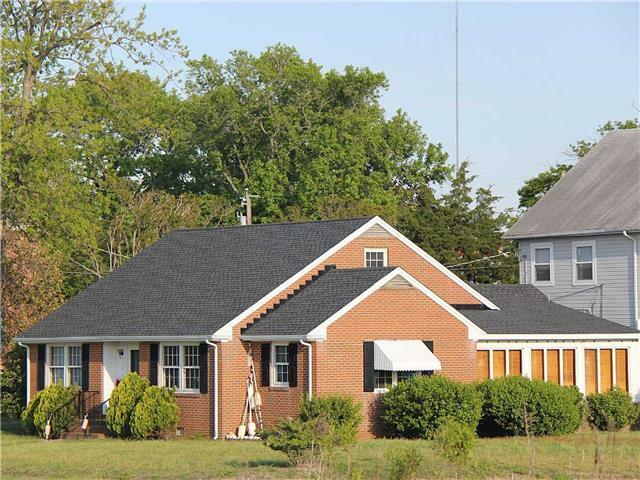 One block from the beach in the serene Chesapeake Bay town of Cape Charles. Step back in time to a Mayberry-like atmosphere in a pristine cottage with all new furnishings. 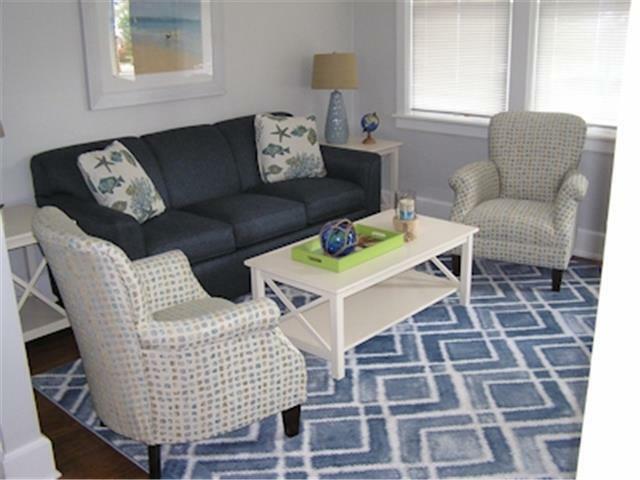 This home was built to seamlessly fit in to the turn of the century architectural style of the town, and is furnished with a beachy restoration theme in mind. If you want a fully-stocked rental located one block from town and one block from the beach, this home is for you! 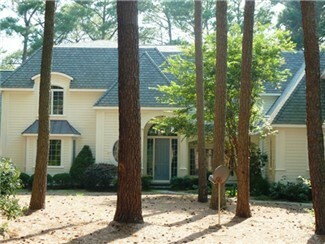 Perfect for a family, couples (golfers will enjoy nearby Bay Creek!) and girls weekends! A luxury property. CANCELLATION POLICY: For any cancellation that is more than 60 days prior to the check in date, there will be a 100% refund. For any cancellation that is between 45 and 60 days prior to the check in date, there will be a 10% cancellation fee. If the cancellation occurs less than 45 days from the check in date, no refund will be made unless all or part of the reserved period is re-booked, in which case a refund equal to the amount of the new booking will be made less a $100.00 cancellation processing fee. The Dryden House is offered as a weekly private rental after an extensive 18 month historical renovation. 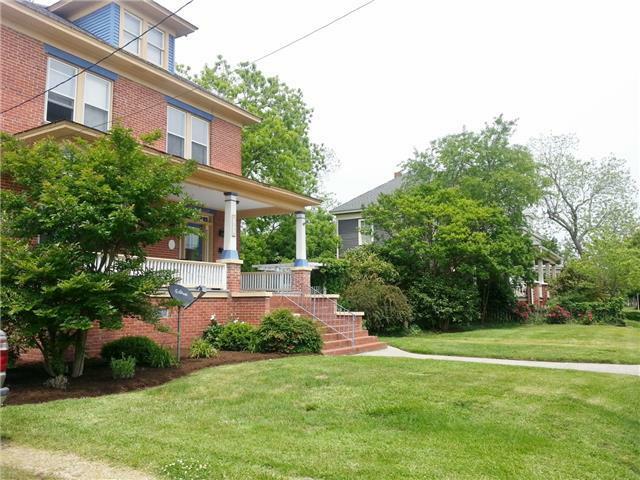 Enjoy all of the historical charm and updated amenities that this grand home has to offer. You can step back in time and step off your porch into the dunes of the Chesapeake Bay. 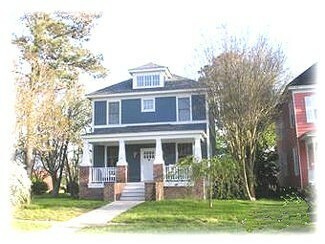 This 1912 historic private home known as the Dryden House is located within a registered historic district, known as the Sea Cottage Addition of Cape Charles, which is comprised of an intact grouping of architecturally significant commercial and residential buildings constructed between 1850 and 1915 that display a variety of styles and types of architectural ornamentation popular during this era. 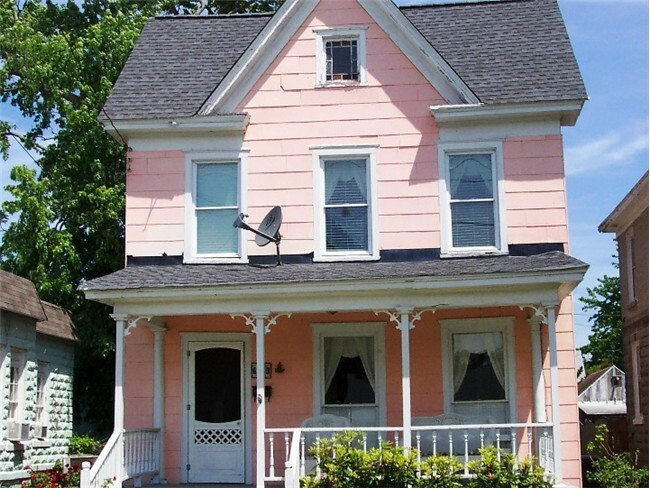 The Dryden House is unique due to its prominent size and central location upon Bay Avenue just steps from the beach and only two blocks from the town’s charming business district. 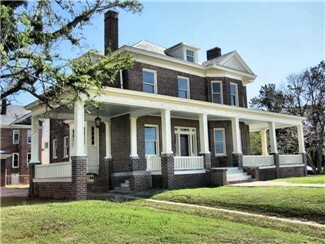 This three-story Victorian has an extensive wrap around porch, with a porte cochere and was constructed by E. T Dryden who built other notable homes nearby. This beachfront home features Bay views from almost every room in the home including all second floor bedrooms with a water view. There are two full baths on the second floor and a full bath on the first floor with a convenient washer and dryer. Before you come into the home from the beach, you can wash away the salt and sand in the outdoor shower. The large kitchen has new high end appliances, with two full size sinks spacious enough for two chefs and a separate beverage center and coffee station assuring you will not be bumping elbows with your guests! The oversized dining room features an expandable dining table that can easily seat 12 plus for meals. Formal paneled pocket doors make this floor plan as open or private as you desire. Finished third floor family room with large flat screen TV, DVD, soundbar, Netflix and Amazon Prime. Wii with balance board and a good selection of Wii games. A selection of over 50 movies for both kids and adults. A full size foosball table completes the game room for when your’re feeling competitive. There is three zone air-conditioning to keep you comfortabel on those hot days and nights. The town gazebo and free fishing pier is to the left of the home and the extensive town walkways make this ideal for strolling or catching an evening horse and carriage ride on the Bay. Sunsets are nightly! WEEKLY RENTALS ONLY DURING PEAK SEASON. BayCation – Sleeps 8-TWO blocks to the beach! 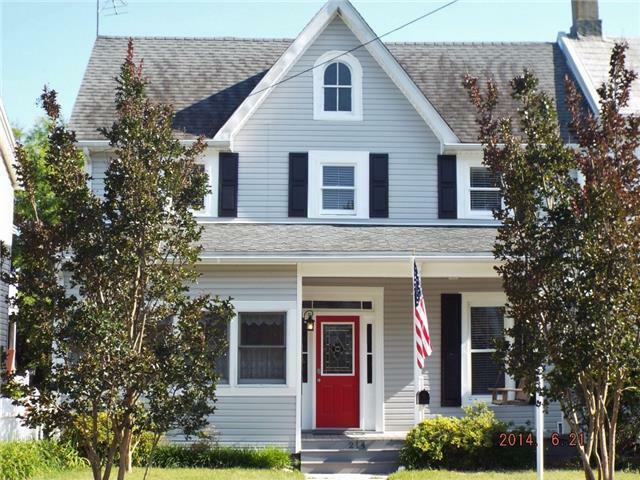 Situated on a double lot, this gorgeous historic home is just two blocks from the beach, two blocks from the park, and four blocks from town! Pottery Barn Grand furniture in the spacious living room, a welcoming foyer, and formal dining room. Upstairs are 4 bedrooms; one with TV, and a full bath. One King, 2 Queen’s and 2 twin beds. For dining al fresco, choose the expansive furnished porch or oversized backyard. The porch offers bay views and breezes with Elecrtical outlets and stained glass lighting to enhance your porch experience .Enjoy morning coffee, evening cocktails, and our famous sunset! Oversized back yard is fenced and privacy landscaped. Enjoy the garden seating and table, relax by the fire-pit, and grill while watching the fish in the koi pond with a life-size heron sculpture. Play with the included games, badminton, boogie boards, and available beach chairs. Rinse yourself off in the Outdoor Shower with hot and cold water. Enclosed for privacy. Cape Charles location is poised for great day trips to Chincoteague, Williamsburg, Busch Gardens and Virginia Beach. The town offers a five acre Central Park with a children’s playground, 2 Marina’s, public boat dock, fishing pier (no license needed), shopping, restaurants, library, ice cream shop, medical facilities, ATM, pharmacy and 2 miles on the highway is Food Lion grocery store. BayCation is sure to please, rejuvenate, and become a family favorite! Huntington Farm is a fantastic 14 acre gathering place for a large family or multi-family group as well as an excellent waterfront location for weddings and events. 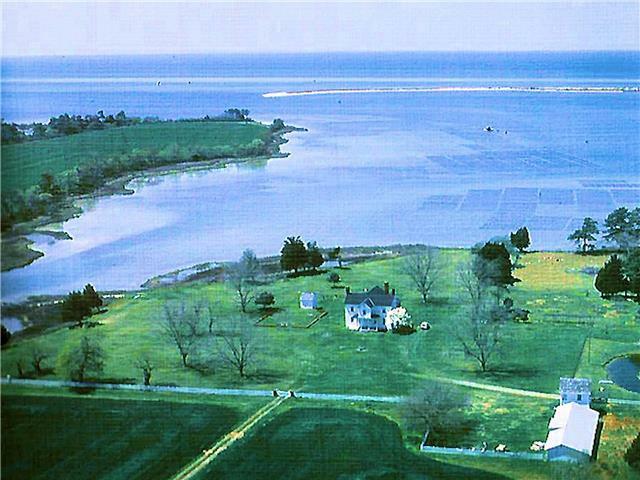 Situated along Cherrystone Creek just 5 miles from the town of Cape Charles, it dates from the 1600’s when it was known at the Huntingdon Farm. Somewhere along the way, the “d” was replaced by a “t” and hence the name Huntington. It is an ideal setting to get away from it all but still close to the great shops and restaurants in the town. Built in the 1600’s and fully restored, it has a huge living area including a formal living room, formal dining room, a large modern kitchen and a family room with large picture windows looking out on Cherrystone Creek. The second floor sleeping areas include three bedrooms with en suite baths. Bedroom 1 has a king bed, bedroom 2 has a queen and bedroom 3 has two sets of bunk beds. There is also a sleeping/sitting room that has two day beds (twin size). Indigo Cottage – 2 Blocks To The Beach, Rent One Or Both Sides. Newly renovated with all new kitchen and baths. Only two blocks to the town beach and a little over 1 block to the town park, this new listing is beautifully furnished. In addition to the attention to interior details, there is a big gas grill and picnic table in the back yard as well as an outdoor shower. There is a bedroom with a king bed, one with a queen bed and a third bedroom the has a bunk bed plus a twin bed and a TV for the kids. The very kid friendly beach is never overcrowded like many east coast beaches so it makes for a relaxing time. Bike rentals are also available and if you happen to have a trailerable boat, there are great launch ramps at the town harbor and plenty of transient docking. AT LAST is the perfect name for this Victorian Beach House. The owners have lovingly brought the home back to life and now want to share it with you. 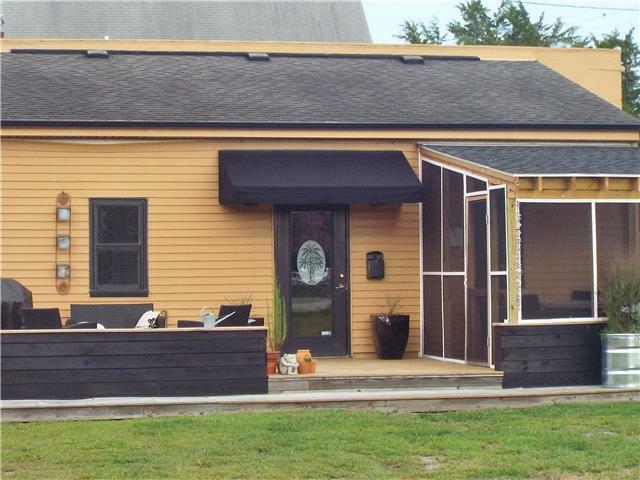 This PET FRIENDLY home is 2 blocks to the Beach, 1 block to Town and 2 blocks to the 5 acre Town Park. Park your car for the week and explore the Town on foot or in a rented golf cart. Cape Charles is golf cart friendly. The home offers 3 bedrooms, 2 full baths, living room, dining room, family room, kitchen and laundry room. A large fenced in back yard with mature growth trees and plantings offer a cozy setting as your sitting around the fire-pit. Cape Charles offers great restaurants, shopping, gourmet markets, art galleries, theater, pharmacy, medical services and library. No license is required for the Town fishing pier so bring your polls. Do you like horseback riding, antiquing, fishing, sailing, jet skiing, kayaking, windsurfing?. We have all that and more. Bring your family on a vacation they will remember. We know you’ll be back.